I contend that the Bloc Quebecois should never have taken on the role or title of “Her Majesty’s Loyal Opposition” in the 35th Parliament simply because it became the second largest party with 54 seats, compared to the Reform Party’s 52. This is not an argument against the presence of the Bloc quebecois in parliament in general (they were duly elected representatives), but a rebuke of the parliamentary injustice that allowed such a party to become Her Majesty’s Loyal Opposition during the 35th Parliament. I base this argument on interpretations of both British and Canadian sources, because the Canadian tradition developed directly from its British tradition, and on the nature of convention itself. I refuse to elevate the custom that the party with the second largest number of seats becomes the Official Opposition to a constitutional convention. Certainly, the presence of an Official Opposition is a constitutional requirement and practical necessity in order that parliament effectively hold the government to account – but the presence of such a function is distinct from the determination of which party takes on the role. I will also examine Speaker Gilbert Parent’s ruling from 1996 (the second session of the 35th Parliament) on the status of the Official Opposition and point out some bizarre inconsistencies and mistakes therein. Westminster Parliamentarism presumes the loyalty of the Leader of Her Majesty's Loyal Opposition. Without this understanding, the system disintegrates. Johnson characterized “the British conception of opposition as the institutionalization […] of a standing alternative to the government of the day” and argued that “Her Majesty’s ‘loyal Opposition’ has been institutionalized for the modern electorate as the standing possibility of an alternative government to replace the one in power.” Crucially, this role as “alternative government”, sometimes called “government in waiting”, applies whether the Her Majesty’s Loyal Opposition forms a new government in the same parliament, without an election, or when it wins the most seats in the next election and forms government in the new parliament. 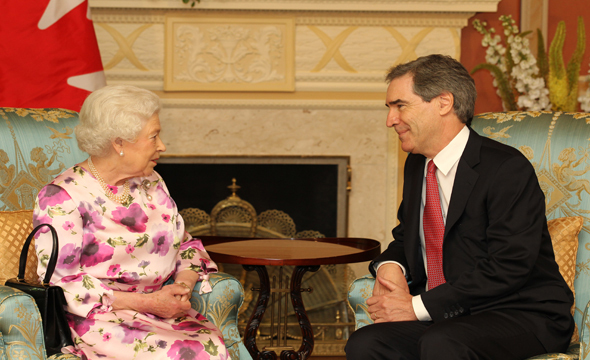 Her Majesty’s Loyal Opposition can therefore be characterized as a “potential government”. The Parliament of Canada recognized in statute the Leader of the Opposition in 1905, before the other core Commonwealth countries. However, O’Brien and Bosc offer little insight into the role of Her Majesty’s Loyal Opposition as “alternative government” or “potential government.” Instead, they define Her Majesty’s Loyal Opposition as such: “By convention, the opposition party with the largest number of seats in the House is designated as the Official Opposition (and referred to as “Her Majesty’s Opposition”), although nowhere is this set down in any Canadian rule or statute.” The footnote explains that the title Her Majesty’s Loyal Opposition “emphasize[s] the notion that an opposition is loyal to the Crown.” The Bloc quebecois certainly did not meet that requirement; they advocated for the secession of Quebec from a Commonwealth realm, and an independent Quebec would certainly have become La republique quebecoise, not another Commonwealth realm. The Crown (the Queen in the UK and the Governors in the core Commonwealth) appoints the first minister -- but not the Leader of the Opposition! 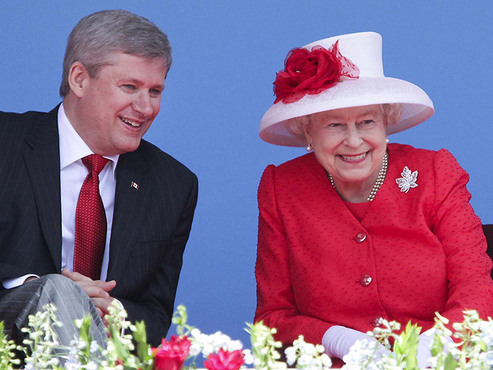 Her Majesty the Queen of Canada, His Excellency the Governor General, and the Right Honourable the Prime Minister. The Leader of the Opposition does not figure into this equation. Those who inherently disagree with my interpretation will probably argue something to the effect, “the Reform Party could not have formed the government in 1993”, or “the Reform Party was not a national party in 1993.” Johnson and others described Her Majesty’s Loyal Opposition as an “alternate government” or a “potential government”, and that the electorate would determine whether to replace incumbent government or not in the next election. (This reasoning presumes majority parliaments, which made sense in 1997 in the United Kingdom and conformed to the practice of post-War Britain). A “potential” government does not mean that this party automatically becomes government upon the next election: the phrase merely recognizes that of all the parties available, Her Majesty’s Loyal Opposition could most probably form the next government, if the incumbent government can no longer command the confidence of the House. The Bloc quebecois fielded candidates in only one province and therefore could never possibly have formed government; since the party sought above all (at least in the 35th Parliament) the secession of Quebec from the Canadian federation, it also could never have morally formed government. The Reform Party of Canada ran candidates across the country and returned elected MPs from five provinces in 1993. That the Reform Party did not succeed in returning MPs from every province does not disqualify it from “potential government”. In the 35th Parliament, the Reform Party of Canada met the criteria for “potential government” better than of the other three opposition parties – the Bloc quebecois, the rump of the Progressive Conservatives, and the New Democrats – and at the time was best poised to form the next government. The Progressive Party won the second largest number of seats in the 14th Parliament but, as a protest party, refused to act as Her Majesty’s Loyal Opposition. If all other conventional and institutional checks failed, Bouchard should have demonstrated the same moral consistency as the Progressives by refusing to take on a role that the Bloc could not fulfill. Perhaps he took on the role in order to make a mockery of the system and demonstrate its inefficacy and failures to Quebeckers, for the sheer irony. If so, he certainly succeeded in making a mockery of Her Majesty’s Loyal Opposition by repudiating the principle of loyalty. Johnson described the British Parliament after the election of 1997 and Labour’s landslide victory, but it aptly describes the Canadian opposition from the 35th Parliament onward: “Understandably some of the doubts about the traditional practice of opposition are expressed most vigorously by the smaller minority parties which oppose, but do not aspire to be the official opposition, or like the Liberal Democrats are perennially unable to realize their dream of becoming the official opposition and, therefore, a potential government.” This means that official opposition normally acts as a prerequisite to forming a government. I attribute the lack of critical thinking on determining the official opposition to a misplaced political correctness which dictates that any criticism of the Bloc quebecois attacks its legitimacy as a party in parliament (when in this case, the issue arises over its status as Official Opposition, not its standing in parliament), or attacks Quebeckers writ large; it also speaks to the fear of re-evaluating conventions, or perhaps a widespread misunderstanding of the purpose of convention. In light of the inherently flawed and incorrect Speaker’s ruling of 1996 and the British method, the parliament should amend the Parliament of Canada Act by codifying the principle that the Speaker shall be called upon to determine which party becomes Her Majesty’s Loyal Opposition when necessary, as in the British Parliament. More fundamentally, however, we must always check the convention against the principle that it represents and from which it is derived. When the convention no longer matches the principle (in this case, loyalty), the convention must be re-evaluated and modified. To pretend otherwise is to betray the principles of Westminster parliamentarism. This entry was posted in Loyal Opposition. Bookmark the permalink. I only recently discovered your blog, so please forgive the untimely reply to this particular article. I understand your emotional reaction to the Parti Québécois serving as Official Opposition in the House of Commons. Many Canadians had the same reaction, I am sure. However, your emotions have, with the greatest respect, cause you to formulate an argument that doesn’t really hold up. For example, your reference to some of the language used by Speaker Parent–“In our system the Speaker chooses neither the government nor the government in waiting. That prerogative belongs to the Governor General of Canada on the advice of his privy council.”–neglects to mention that these sentences follow a quotation that clearly shows what Parent meant. I agree that he did not use the most accurate language, but he was clearly talking about the act of choosing the next government, an act performed by the Governor General and not the Speaker. He is simply trying to say that people should not interpret what he does as Speaker in recognizing the Official Opposition, or more accurately, the Leader of the Opposition, as determining which party would form the government in the event of a resignation or a general election. As Speaker of the House, Parent’s only role, under the Standing Orders and practices of the House, is to recognize the Leader of the Opposition during Question Period for the first question to the Government and to recognize the whip of the Official Opposition for certain purposes. That’s about it. He doesn’t certify or declare that a someone is the Leader of the Opposition; he just calls on that person to ask a question. In making rulings, the Speaker is bound by practice, precedent, custom and usage–or convention, as he called it (not to be confused with constitutional conventions). Without a statute or a standing order to guide him, that is all the Speaker has. And practice, precedent, custom and usage attribute the position of Leader of the Opposition to the leader of the party in the House with the largest number of seats and in opposition to the Government (which is why the Progressives really declined the position: they supported the Government). As a retired procedural clerk at the House of Commons, I should explain how Parent’s ruling was crafted. A research team of experience proceduralist in the Table Research Branch collects and analyses all the precedents from other Commonwealth Parliaments. These are put together for the senior Table Officers, who then meet to discuss them with the Speaker. Finally, a draft ruling, based on this research and the discussions, is written up for the Speaker’s approval. Once he is satisfied that the ruling says what he wants, he delivers it to the House. So you can see that a lot of expertise and thought go into a ruling as significant as this one. One final point, if I may, regarding loyalty. All Bloc québécois MPs took the oath of loyalty perscribed by the Constitution Act, 1867. In my experience, they always behaved respectfully towards the institution of Parliament and acted constructively. Had they not been treated with dignity by the Speaker, the situation might have turned out quite different, as Dr. Levy noted above. This is not an emotional reaction against the Parti quebecois, or the Bloc quebecois, for that matter. Unfortunately I can only conclude that Parent didn’t follow your advice very well, because, whether he misspoke or “didn’t use the most accurate language” , Hansard has now preserved the significant inaccuracy in his ruling for posterity. Parent’s inaccuracies will now form part of the corpus used in subsequent rulings on the designation of the Her Majesty’s Loyal Opposition. You need to look beyond the perfunctory and into the deeper principle. Loyal opposition means opposition to the government’s policies but loyalty to the Crown and the Canadian state. Frankly, the parliamentary oath is irrelevant to this argument because the Bloc MPs took their parliamentary oaths with their fingers crossed so that they could gain the emoluments of the office, and because a violation of this oath has, from what I’ve read so far, never formed the basis of expelling a member from sitting in parliament. Can you explain how a party that wants to create an independent Republic of Quebec is loyal to the Crown of Canada? I’d love to hear it. Contrary to your advice to Parent, this question is not merely a “qualitative judgement”, but an observation based on an objective reading that the Bloc advocated and campaigned for succession while paradoxically serving as Her Majesty’s Loyal Opposition. First let me say how pleased I am to see a student of political science who is actually interested in parliamentarism as opposed to politics. Parliament is not studied enough in Canada, I think. But there is theory and then there is practice. More on that in a bit. I accused you of having an “emotion reaction” to the BQ and separatism, because I got the impression that you had looked for and found an argument to support your point of view instead of looking at all the facts coldly and then coming to a conclusion. Your reliance on the BQ’s “disloyality” in your argument led me to think that. Perhaps I was being a bit unfair. But no more unfair than you were being in misreading what Speaker Parent meant. One needs to get behind the words used sometimes to see what someone really means. I don’t think you did that with Parent. I also don’t think that an objective reader would interpret Parent’s words in context the way you did. And, by the way, I did not advise Parent on this ruling. I wasn’t involved at all, so I am not trying to justify what I did, I simply want to explain to you what Parent and his advisers did so that you will have a more complete picture to base your views on and maybe even revise them. With regard to theory v. practice, you have argued that the BQ should not have been recognized as the official opposition because they were patently “disloyal”. You delve very nicely into the British history of the official opposition, but you neglected to see how the underlying concept of official opposition has evolved, particularly in the Canadian context. As you know, the British parliamentary system is essentially a two-party system: a government majority and one large party forming the official opposition. The official opposition presents itself as an alternative to the party in power with the objective of replacing that party in government at the next general election. It’s only in that sense that the official opposition is a government in waiting. (By the way, you may want to look at a recent article by Rex Murphy in the Globe and Mail about that concept as applied to the NDP. He gets it totally wrong, but his confusion is informative.) But there is no present-day parliamentary requirement in Canada, not even some sort of constitutional convention, that the official opposition be the party that might form a government. The only parliamentary requirement is that the official opposition be in opposition to the government. That’s the real importance of the official opposition nowadays: to lead in scrutinizing the government’s policies, actions, administration, budgets, and legislative proposals. Now about “disloyality”. I would argue, and this is my personal opinion, that loyality to the Crown is a symbolic way of saying loyality to our constitutional regime. I reached that conclusion after I had considered whether the BQ, with its declared objectives, should be allowed to be the official opposition. (Yes, I did consider that argument when this question first arose in 1995.) The BQ–and all separatists since René Lévesque–have insisted that they want to achieve “independence” by democratic means and not by violent revolution or overthrow of the Canadian government. I submit that that’s “loyality” to the constitutional regime. And, yes, their taking of the oath required to sit in Parliament means that the Speaker can’t look behind the oath-taking to see if they meant it in their hearts. I’m sorry to say that you appear to have a more American interpretation of loyality to the Constitution and the State than I do and yet I’m an American immigrant to Canada. This isn’t an American interpretation. (I’m not sure if you’re subtly using this label as a pejorative or not, but it sounds like a method of attaching a negative emotive association with my argument by tapping into the latent anti-Americanism in this country). I would characterize it as a traditional British interpretation. Gary made the same comment, but I think that you’re both overlooking the British historical tradition and, more importantly, the normative underpinnings and definition of “loyal opposition” in your rebuttal. Even if it were an American idea, you need to ask yourselves: where did the Americans get if from? I would argued that they derived it from *English* thought, because, whether Americans like to admit it or not, they would not exist without England and the United Kingdom. If I were going through this argument with an Englishman, Northern Irishman, or Scotsman, I would tell him that the idea of the Bloc quebecois assuming the role of loyal opposition is the equivalent of Sinn Fein or the Scottish National Party taking on the role in Westminster. It’s completely absurd! And why is it completely absurd? I’m examining this issue from a fundamental historical and principled standpoint. Jennings created a test for determining the existence of a convention, and part 3 asks “Is there a reason for the convention?” So we need to ask ourselves: what normative and historical presumptions underpin the convention that the largest party in opposition becomes Her Majesty’s Loyal Opposition? One of these presumptions clearly is loyalty to the Crown, because it was simply inconceivable in the United Kingdom where this convention originated that a separatist party of some kind would become Her Majesty’s Opposition. When the application of a convention (in this case, the Bloc assuming the role of Her Majesty’s Loyal Opposition) violates the underlying normative *principle* that justifies the convention, we must modify the convention. This is one of the core ideas of my argument. You may disagree, but I consider these constitutional principles paramount. Now, I think that Parent overlooked a crucial point about the election of 1918 in the United Kingdom: Sinn Fein could have become loyal opposition by its sheer numbers, but de Valera was principled enough to refuse to assume this role. Similarly, Parent over-simplified the Canadian election of 1921. The National Progressives won the second largest number of seats but didn’t become the Official Opposition for several reasons, not just because Crerar was a former Liberal who supported part of King’s program. Parent’s ruling lacks nuance in so many errors. It also contains a gross factual error about the contents of the Ministerial and Other Salaries Act, 1975, as I demonstrated in the original post. I’ve heard this argument that “loyalty” doesn’t mean loyalty to the Crown but a commitment to peaceful secession within the constitution. Obviously, I disagree with it and consider this approach too broad and permissive. A commitment to peaceful means of secession is a separate question from the loyalty to the Crown of the individuals or parties in question. The Bloc were prima facie a *disloyal* opposition. You’re missing the main point of what I’m arguing and what Parent said: his ruling has nothing to do with broader political opinions such as the ones leading you to say the BQ is “disloyal” in some sense. His ruling is based only on the parliamentary precedents, practices, customs, and usages–which are NOT necessarily constitutional conventions. Obviously, one could say that the BQ shouldn’t have been allowed to be the Official Opposition, but Parent’s ruling is that he, as Speaker, cannot say that. The only way the BQ could have been blocked (excuse the pun) from assuming the mantel of Official Opposition would have been for the House itself to adopt a resolution in that sense. It simply wasn’t the Speaker’s role. You may not like that, but there it is. As for your having an American idea of “disloyality”, of course I was teasing you a bit. But a pejorative? Voyons, mon cher James. I ought to have added that the Speaker of the Canadian House of Commons would never base a ruling on a British statute such as the Ministerial and Other Salaries Act, 1975. The Standing Orders of the House do not provide authority for the Speaker to base rulings on anything but the practices, etc. of the other Commonwealth Parliaments and that only in unprovided cases. I understand that not all conventions are of constitutional character and that Parent couldn’t delve into broader concepts at play. But don’t you find ironic that Speaker Parent issued a ruling that incumbency is the determining factor in designation in the Official Opposition while also stating that the Speaker doesn’t designate the Official Opposition? I criticized the Reform Party as well for asking entirely the wrong questions. The other jurisdictions (UK, Saskatchewan) that have codified the Speaker’s role did so in statute though, not the Standing Orders. I wrote another (I suppose less controversial post) last week about provincial precedents of Speakers designating the Official Opposition as well. Our exchange has convinced me that Parent’s ruling is not as clear as it ought to be when an intelligent, knowledgeable outsider (you) interprets it differently from the way an informed insider (me) does. When Parent says in his February 1996 ruling that the Speaker doesn’t choose a “government in waiting” but the GG does, I understand from the original point of order raised in December 1995 that he means the GG is free to choose who shall form the next government in the even the Prime Minister should resign or die (see e.g. A. Heard, Canadian Constitutional Conventions, pp. 21-2). But you came at that wording from a different angle and rightly questioned it. You say, “But don’t you find ironic that Speaker Parent issued a ruling that incumbency is the determining factor in designation in the Official Opposition while also stating that the Speaker doesn’t designate the Official Opposition?” I don’t read Parent’s statements the same way, so I don’t find it ironic. Parent points out that which party forms the Official Opposition is usually just routine and automatic: the largest party in opposition to the Government just takes the seats in the middle of the left side, and the Speaker calls on the leader of that party to ask the first question in Question Period. Nothing more formal than that. But for the first time in Canadian Parliamentary history, the Speaker was asked to rule if a tie between two opposition parties changed things, given that one of the parties was a separatist party. He relied, as the Standing Orders instruct him to do, on a precedent in another legislature (New Brunswick) to rule that incumbency would be the criterion when the Official Opposition loses seats during a Parliament so that a tie is reached. This does not, of course, tell us what the Speaker should do if there were a tie immediately after a general election. As Parent noted, there are no guidelines in statute or standing order. It was understandable, and fair ball, for you to challenge Parent’s ruling, arguing that he should have taken into account the “disloyality” of the BQ. But once we see that the Speaker simply had no authority to take the political views of the BQ into account, we are left with the Speaker’s limited authority to rule only on the basis of precedent and custom. I should add, the crux of this argument rests on BRITISH parliamentary history, not American conceptions of federalism. I still strongly disagree with you, but this is an insightful and well-written piece. With what part or parts do you disagree? I read you article with interest but must say it does not convince me that speaker Parent made a mistake when he recognized the Bloc in 1993. You are on stronger ground when you criticize some statements in his ruling in the second session when the numbers were equal but what he was really saying in that case was in a tie the title goes to the incumbent which is one of several possibilities. Another is to alternate the office as was done in Saskatchewan for a time. There is no hard and fast rule and he might have taken another approach when the numbers were equal but when the Bloc had 2 more seats there was really “no discretion” to use your words from another context. The recognition of the Bloc by Speaker Parent (not his later subsequent ruling when they were tied) stands as the outstanding moment of his speakership and, in my view, one of the great moments in Canadian parliamentary history. You suggest the issue is loyalty to the Crown and that you do not deny the right of Bloc members to take their seats. As I recall there was an issue of whether they would take the oath to the Queen and this was resolved. So you should perhaps argue that if they were not loyal enough to be official opposition they were not loyal enough to be members. But you think they are loyal enough to be members but not loyal enough to be the official opposition. Seems like a bit of faulty logic to me. You also rely on the idea that the official opposition should be able to form an alternative government. I think the operative word is “willing”. The progressives were not. The Bloc was. To think that Reform with two less seats was more able is of course nonsense. You suggest that the Bloc should have declined because they had no possibility of forming a government with seats from only 1 province. Nor did Reform with seats from only 1 region. These are technicalities and the real issue is much more profound. The idea that the Bloc should have been denied official opposition status reflects an American style view of our federation as indivisible (except through civil war). Our constitution came unraveled once, in the 1850s and it could happen again. The only legal way to come up with a new constitutional arrangement for the people living north of the 49th parallel is for a federal parliament to remake the constitution. It is far fetched, but not inconceivable, that a party wanting to rewrite the constitution can form the official opposition and if it gains support from other parties may even form a government and enact the change. To argue otherwise is to believe either that the present arrangement is fine and dandy or that it will only be changed by force of arms. I cannot accept either of those. The wisdom of Speaker Parent in recognizing the Bloc when they had more seats is demonstrated by the responsible way the Bloc behaved as Official Opposition. They did nothing to undermine the institution or obstruct or subvert. Imagine what havoc a group of 54 MPs could have done had they been denied Opposition status and decided to use the rules to subvert parliament. It may sound a bit melodramatic but I do not believe the country would still be together if the Bloc had been denied Official Opposition status when it had more seats. That would have been a fundamental denial of the fair play concept that underlies parliament’s legitimacy and would have led down a path we really do not want to follow. The crux of this argument is historical. Never in the UK since the entrenchment of responsible government was Her Majesty’s Loyal Opposition manifestly and inherently disloyal to the Crown. So too was the case in Canada until 1993. The Bloc challenged the fundamental presumptions that underpin the historical and formal function of Her Majesty’s Loyal Opposition, but out of fear of not giving Quebec what it wants, parliamentarians at the time did not examine these fundamental problems and instead opted for the easy course of action of acceding to the Bloc. Loyalty is more important and significant with respect to Her Majesty’s Loyal Opposition than with a rump of opposition backbenchers, because the former plays a vital constitutional function based on strong historical necessity. Speaker Parent’s decisions had nothing to do with wisdom and everything to do with political expediency. What you are calling political expediency is the invariable practice over hundreds of years of recognizing the Leader of the Official Opposition as Leader of the party with the second most members who is willing to assume the responsibilities. To have expected Speaker Parent on his own (or worse the entire House of Commons) to go against that tradition would have been highly irresponsible. This issue is different from the situation when there is a tie. In that case a number of possibilities exist — incumbancy, highest popular vote, alternation, flip of the coin. There is no right answer but certain choosing a Leader on the bais of “loyalty” would appear to be the worst possibility. What you are calling disloyalty is bascially a policy disagreement about the constitutional arrangmements that ought to prevail. I do not support republicanism but I do not thing a party should be prohibited from holding the office of official opposition beause it is pro-republican and has the second largest number of seats. I suggest a more fruitful line of research might be on the whole issue of oaths. Thanks, Dr Roy! I’ve always felt strongly about this issue. Now I have crafted a rational, logical argument that clarifies the emotion and the importance of loyalty, without which, our entire system of Westminster parliamentarism would collapse, plain and simple.